Can anyone ID this heavy glass bowl please? 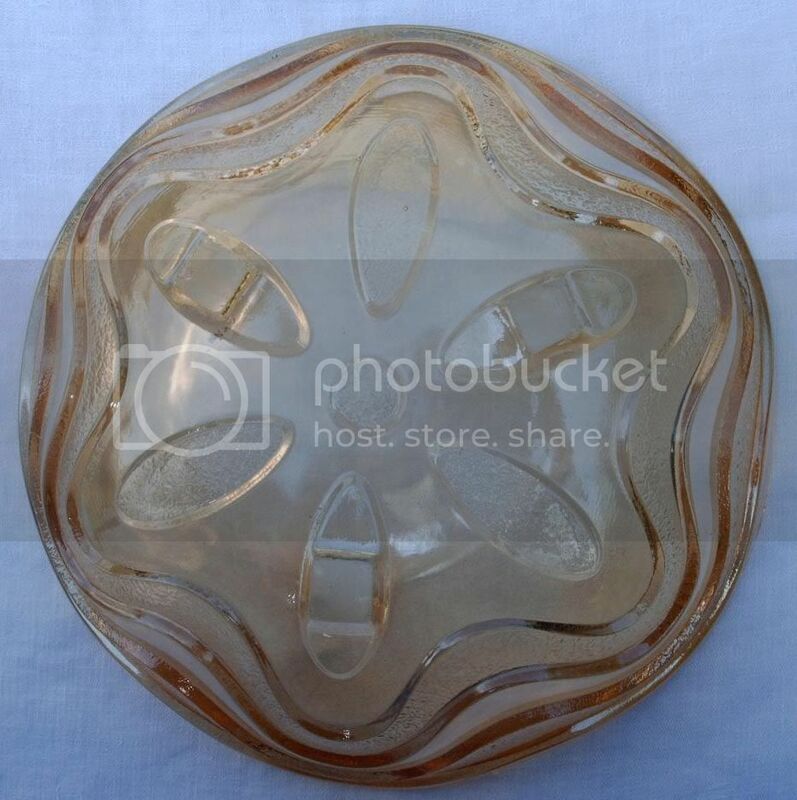 Topic: Can anyone ID this heavy glass bowl please? Does anybody know who made this and when? It is iridescent and very heavy. I believe it is Walther's (Germany) "Tudor" pattern, circa late 1930s. In iridised glass (marigold Carnival) it is known as "Stippled Waves". Thank you both for your information. I like Walther pressed glass best of all but I have to say I dislike this piece and will probably find it a 'new home' in the not too distant future! Hi Hilary, me too: I had that and gave it away, I've got it again recently, and still it is not visible on my site: in some way I do not like it either... funny experience though! :? LOL Pamela - :idea: maybe we were genetically connected in a former life!! :lol: I have to say, I have spent hours 'drooling' over the pieces on your website and click into it at least once a day. When I have looked at all of your pieces - maybe we should each compile a list of our favourite pieces and make comparisons so we can confirm or dispel the idea :wink: !! 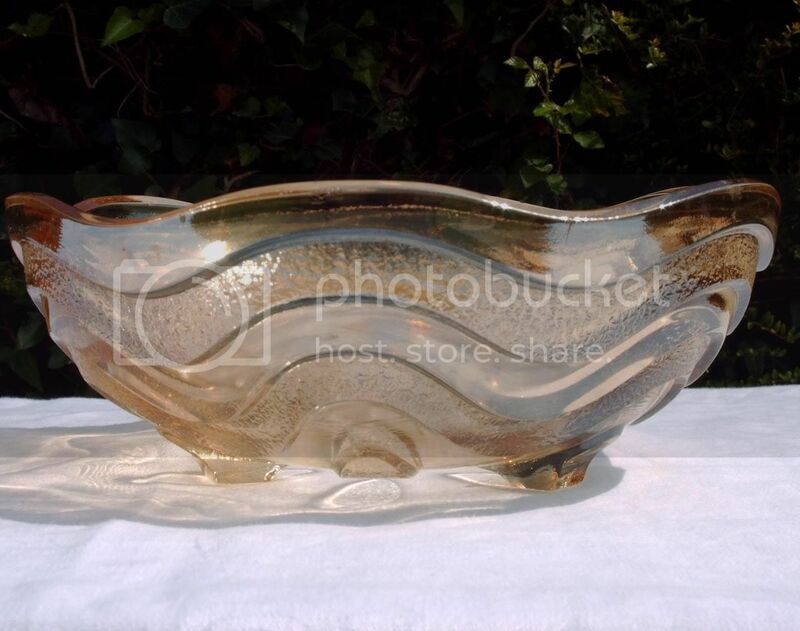 Re: Can anyone ID this heavy glass bowl please? Glassaddict ... will you allow me to use your photo of this item, please? I would be so grateful. For research, info, general writing (should it ever crop up) etc., I will acknowledge you however you wish, of course.